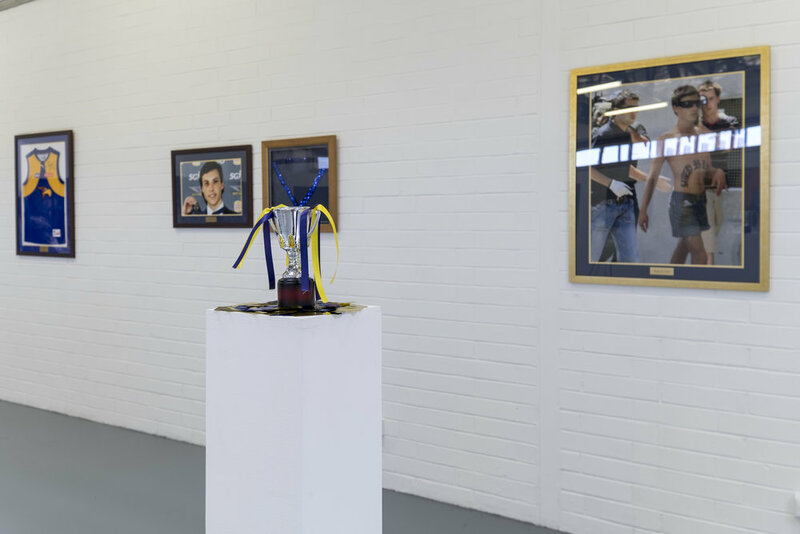 Such Is Life is a body of work created in response to the iconography of the ex captain of the West Coast Eagles, Ben Cousins. Once celebrated as one of the greatest footballers in the history of the AFL, Cousins' career was marred by his infamous and well documented drug and alcohol abuse. As a result, Cousins has been publicly demonised for what has been described as his failure to uphold his hegemonic masculinity. Through appropriation, performance and queering, hegemonic masculinities have been problematised by questioning the limitations that exist within masculine archetypes and the cultures that perpetuate them. Stencil and glitter on matte board. 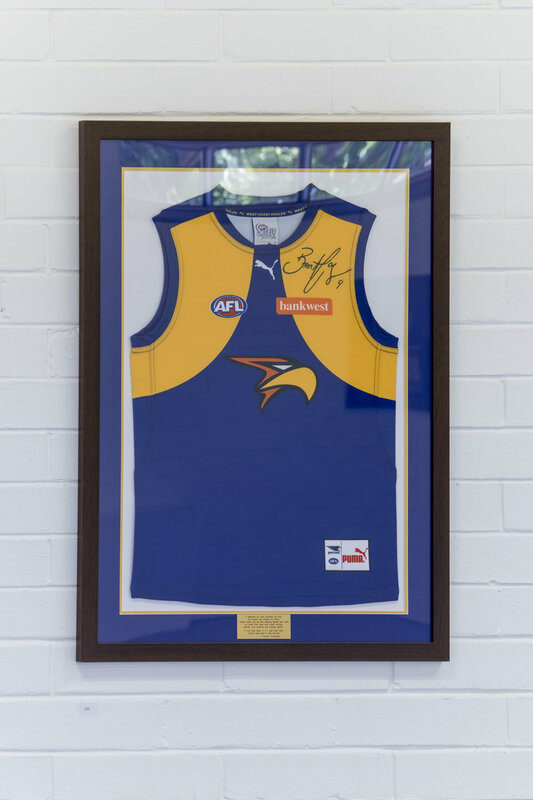 West Coast Eagles guernsey, permanent marker, memorabilia frame, matte board and engraved plaque. Digital collage, memorabilia frame, matte board and engraved plaque. Replica Brownlow Medal, sequinned sash, memorabilia frame and matte board. 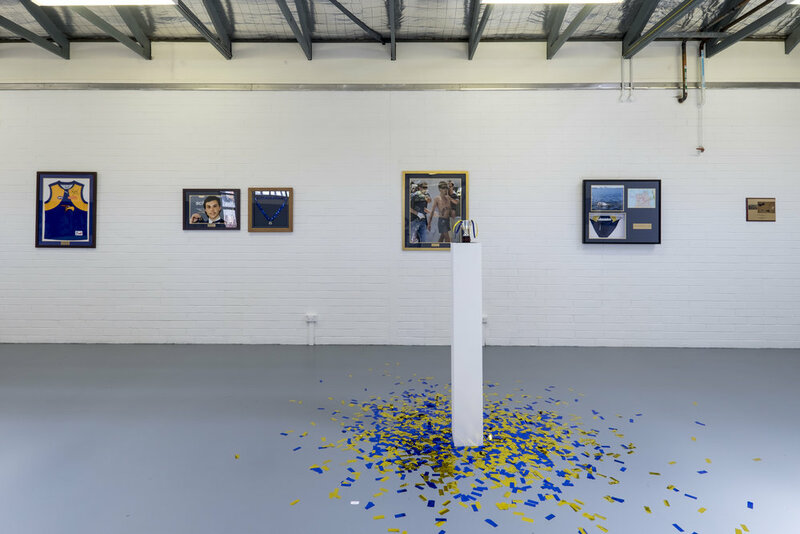 Replica Premiership Cup and mylar confetti. 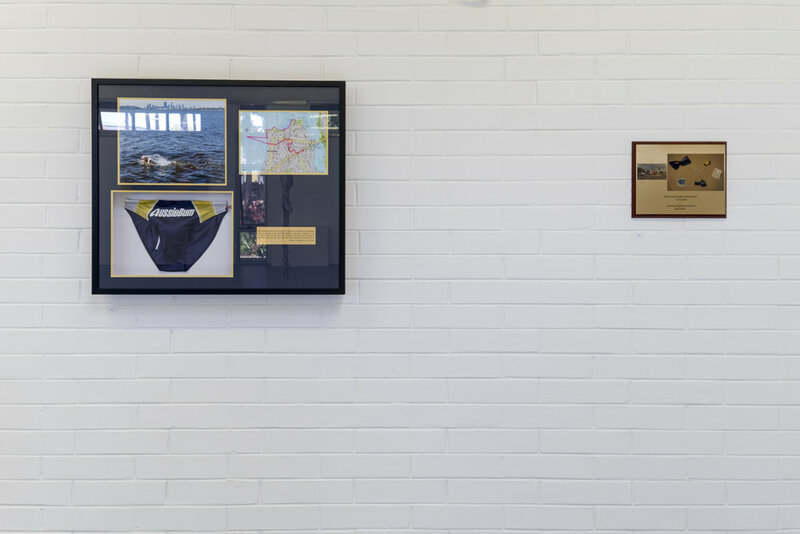 Digital print, highlighter, Aussiebum swimwear, memorabilia frame, matte board and engraved plaque.